This week (and for the month of April) I will be working on the projects below. The Dear Jane Blocks were started in the workshop taken last week. 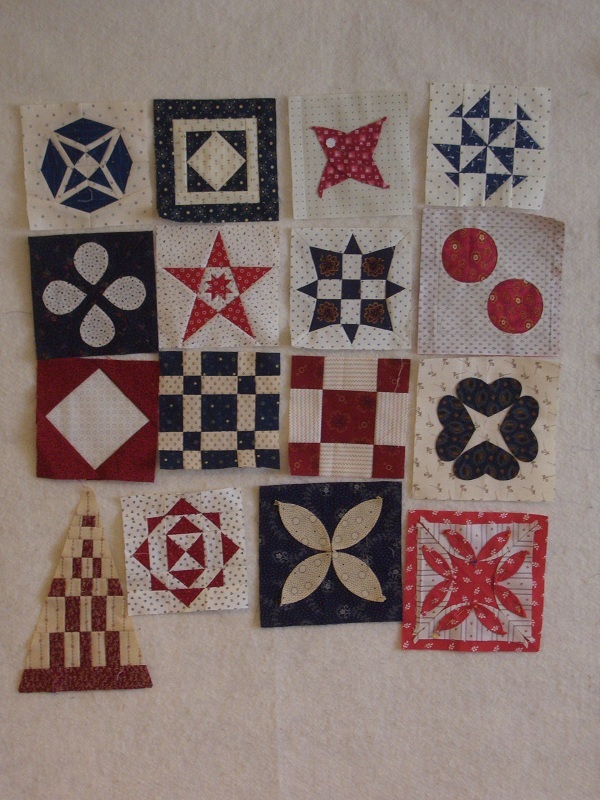 I was able to complete 10 and have 6 more applique blocks prepped and ready for hand sewing. My goal is to try and fit in the blocks between the other projects below. 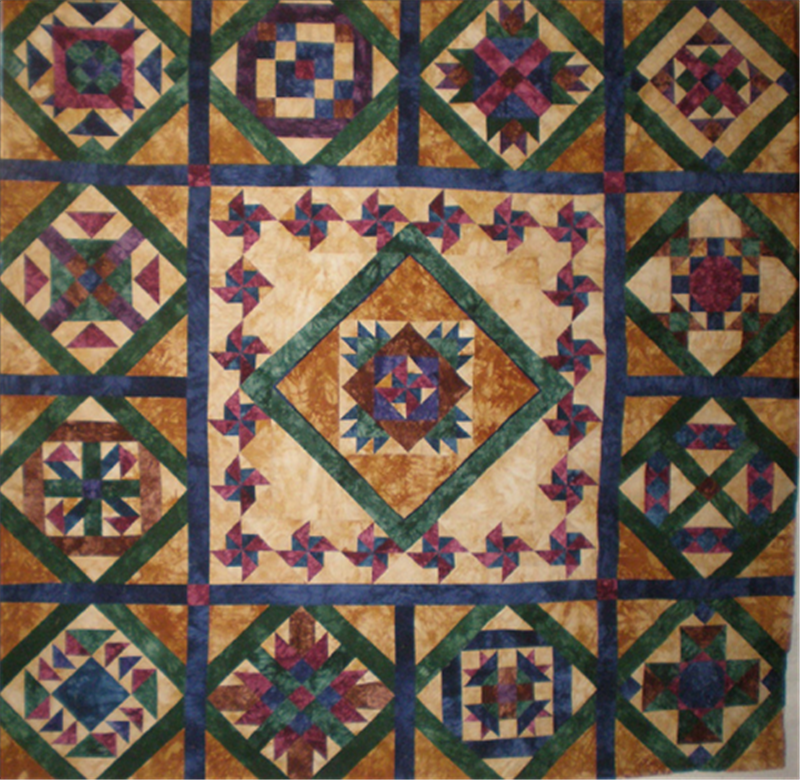 Medallion Quilt, UFO for April, have 6 of the blocks completed. and papers are ready to go! ﻿ Check out all the other Design Walls at Patchwork Times. Your red, white, and blue DJ blocks look great! I need to get back to mine, too. Thanks for the inspiration. 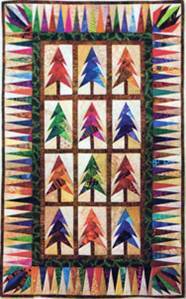 I really like the look of the Jeweled Forest quilt, too. Have a super day! 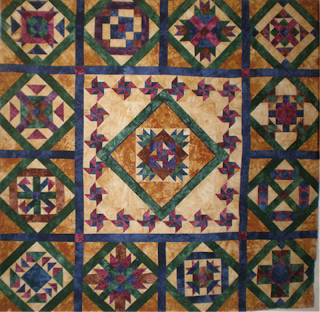 I really like your medallion quilt - it has my colors!